Istanbul's Üsküdar district signed a sister-city agreement with New York City's Brooklyn borough in a ceremony held in Üsküdar on Wednesday. 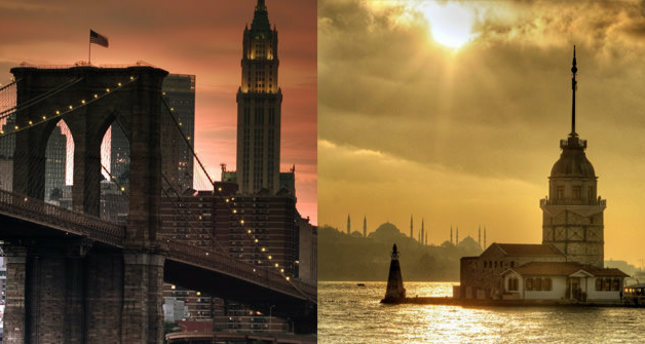 Known for its historical ambiance, resembling a "small-Istanbul," Üsküdar was recently announced as sister city with New York City's most populous, and recently most talked about borough, Brooklyn, known for its diverse cultural mosaic. 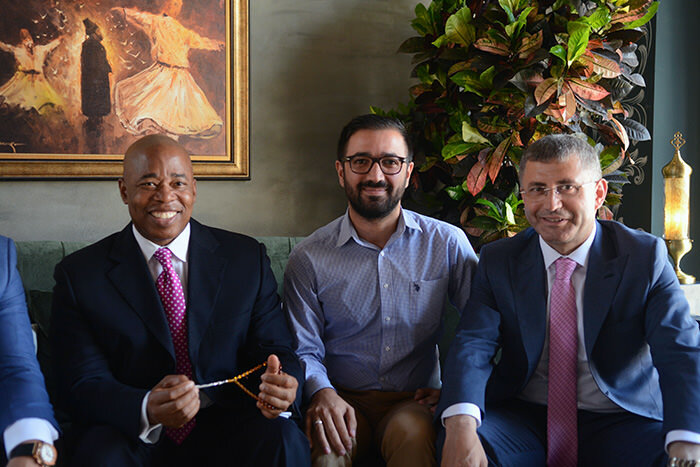 The sister city agreement between Üsküdar District Municipality and Brooklyn Municipality was signed yesterday in Istanbul in a ceremony attended by Brooklyn Mayor Eric Adams and Üsküdar Mayor Hilmi Türkmen. The agreement between the two district aims to initiate a mutual economic, cultural and educational cooperation in addition to municipal matters between Üsküdar and Brooklyn. Türkmen and Adams used Istanbul's Marmaray, the undersea metro tunnel, to cross over from Istanbul's European side to Üsküdar. The agreement was signed at Nevmekan, a newly established cultural center, part of the Üsküdar Municipality's Bağlarbaşı Cultural Complex. Speaking to Daily Sabah, Adams emphasized the importance of the similarities between Üsküdar and Brooklyn, calling Brooklyn "America's Üsküdar." "Brooklyn is the most important municipality in New York City and New York City is the most important city in America. At the heart of Brooklyn, our claim to success is diversity and you also see that here." Touching on the symbols of Brooklyn and Istanbul, Adams used bridges to emphasize the importance of cross-cultural interactions: "The bridges when they were built were used to allow people to cross over from one side to the other, the bridges we need to build today must allow people to cross over from the feeling of hopelessness to the feeling of opportunity, we will stop terrorism when people no longer feel they need to blow themselves up, but feel they need to build themselves." 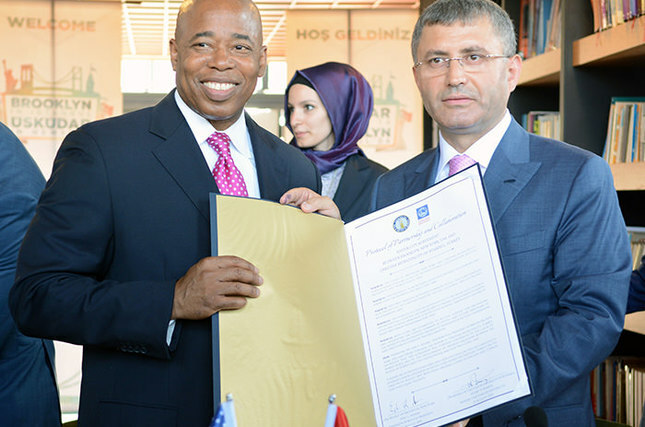 Adams said that the goal is to build a relationship between the Turkish community in Brooklyn, the largest community in New York City and the American community in Istanbul by offering technological advantages for young people where they can find common grounds in communicating with each other and finding out how much they have in common. He also added that this relationship will strengthen through commerce, culture and education. Meanwhile, Türkmen said that there are many similarities between Üsküdar and Brooklyn, as they are both special and soulful cities: "Turkey's Üsküdar has become a sister city with 'America's Üsküdar' and this has been a great initiative. Two sisters have met through bridges of the soul," he said. Üsküdar, once known as Scutari, is one of the larger districts on the Asian shore of the Bosporus in metropolitan Istanbul, with a population of more than a half million people. Üsküdar, aside from its diverse population, which has enriched its cultural mosaic, is also known for its Ottoman era mosques, synagogues and churches that add to the architectural silhouette, creating a unique blend between culture, religion and history. Üsküdar has been a topic for many poets, as it has a calm and romantic ambiance. This has made Üsküdar a place for hip and urban citizens with an artsy character to make Üsküdar home. Üsküdar's character has made it a perfect sister-city for Brooklyn, perhaps New York's most diverse and culturally rich borough. Brooklyn has a population of more than 2.5 million. With its diverse inhabitants, Brooklyn offers itself as a hotbed of art, music and food in addition to urban landmarks. Due to its ethnically diverse population Brooklyn has become a home to various neighborhoods with distinct characters and ethnic enclaves. While in Brooklyn one should not miss going for a walk over the Brooklyn Bridge, which offers a great view of the city, and have a slice of pizza at one of Brooklyn's local pizzerias.